Two Chicks On Books: Top 10 of 2015 Day 4- Best Book Boyfriends of 2015! 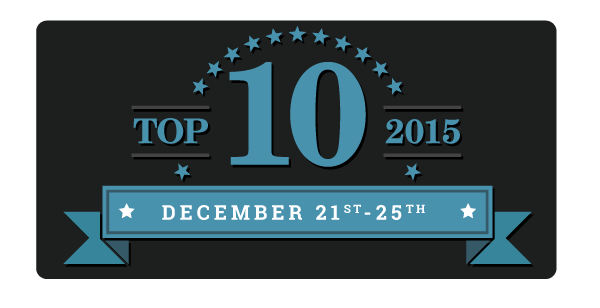 Top 10 of 2015 Day 4- Best Book Boyfriends of 2015! And make sure to stop by my co-hosts sites Fiktshun, Tales of a Ravenous Reader, and Magical Urban Fantasy Reads for their lists! Oh and make sure to sign up with the linky to share your lists! And don’t forget to enter the giveaway for some awesome prizes below! 1. Valek from SHADOW STUDY by Maria V. Snyder. You do not know how happy I am to be able to add him to this list! He is my #1 all time favorite book boyfriend and with more Study books out expect him to be #1 on my list for the next few years! 2. Khalid from THE WRATH & THE DAWN by Renee Ahdieh. I decided to share a few small scenes since I couldn't pick just one lol. For nothing, not the sun, not the rain, not even the brightest star in the darkest sky, could begin to compare to the wonder of you. 3. Paul Markov from TEN THOUSAND SKIES ABOVE YOU by Claudia Gray. He will always be in my heart and he will always be on my top 10 list. I chose a small scene but if you've read the books you know how much Paul has been thorough and how hard it was for him to tell Marguerite he loved her. 4. Prince Magnus from FROZEN TIDES by Morgan Rhodes. 5. Gryphon from NAMELESS by Jennifer Jenkins. Gryphon spent most of his watch that night watching Zo as she slept with one arm around Tess and the other around Joshua, as if they were her baby chicks. as if they were her baby chicks. He wondered what it would be like to have someone care for him with the passion that Eva cared for Stone. In the last few years, whenever he imagined belonging to a woman he never managed to picture the girl’s face. Now, even when he fought the tendency, he always saw Zo. It was part of the reason he could never travel to the Allies. He’d rather rip out his eyes than watch Zo and Gabe share their lives together. Gryphon wasn’t quite sure when it happened, but somewhere in the trauma of the last two days he’d realized that he’d never really be happy without her. It was an awful feeling that gnawed at his gut and threatened all reason. Like discovering you’d lost your arm in battle. Living with the memory of what it was like to have that arm, and reminded every day of the loss. Gryphon the deserter, son of Troy the deserter, was in love with a Wolf. A fitting end to the tragedy that was his life. 6. Dragon/Sarkan from UPROOTED by Naomi Novik. There's one scene I realllllly want to share but it would be too spoilery so I leave you with this. 7. Ezra Mason from ILLUMINAE by Jay Kristoff and Amie Kaufman. 8. Rafe from HEART OF BETRAYAL by Mary e. Pearson. I'm sharing a few small scenes. 9. Gideon from THE ARTISANS by Julie Reece. “No. Not until you hear me out.” When he takes my hand, his eyes glint with careful determination. He won’t be denied his chance to speak, and I can’t refuse him anymore. I’m caught up in whatever spell he’s casting. He leads me to the worn, pleather sofa in Maggie’s living room. The springs creak under his weight, and then mine, as he eases us onto the cushions. I’m inching away until he leans over me and I’m on my back. His face inches from mine, emits the scent of black licorice, salt, and musk. 10. Black Knife from THE ORPHAN QUEEN by Jodi Meadows. I'd put his real name but just in case someone hasn't read the book I don't want to spoil the surprise. Sharing a couple small scenes here too. “Taking me out to robberies, bar fights, and wraith houses isn't enough for you anymore? I though we were happy." I narrowed my eyes. I" don't trust you." "Ever? "He met my eyes again,and searched me. So what about you? Who's your top 10 book boyfriends of 2015? Make sure to fill out the linky so I can see and make sure to stop by my co-hosts blogs to see their lists and find today's giveaway! I still haven't read any of the books but your list makes me want to read them soon. So many swoony quotes! Paul was my favorite character in A Thousand Pieces of You so I'm sure I'll love him in the sequel as well. Great list! I knew Valek was making your list. He almost made mine. I did put Magnus and Paul on my list. YAY! Black Knife & Paul Markov for the win!! I KEEP SEEING UPROOTED OMG AND NOW THERE IS A SWOONY GUY?!?!!? I'll definitely be reading it in the near future. Lovely choices, Jaime! I don't know any of the guys on your list, but over half are ones I can't wait to get a chance to meet! Great list! Thanks for hosting. I've not tried any of these books. I'll have to look into some of them. So many great picks! Valek would be on my list too. I love him so much, he's a wonderful character. Wow! These guys sound like they heat up the page! I love how you shared your favourite quotes!! I agree with Wrath and Done and Orphan Queen since I loved both :) I adore all the quotes!